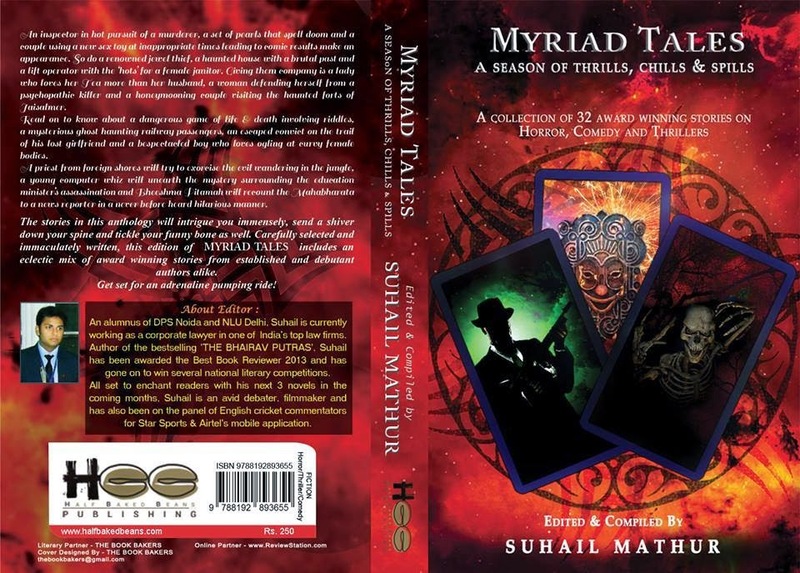 Dear Bookworms as the midnight oil burns we hunt for beautiful stories for you, one such book is Myriad Tales. Since short stories have been a favorite of ours, this book is really going to make you fall in love with this genre of literature and gift yourself a great Diwali. Ans: A friend of mine told me about the contest. It immediately attracted me. 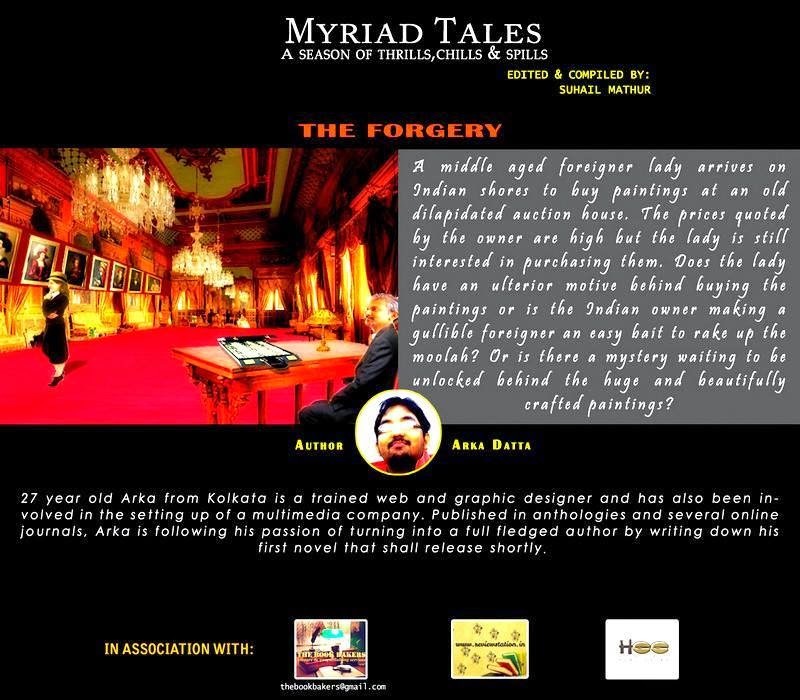 My story is about art-forgery. The mysterious characters and their interests build up the storyline. Ans: Winning the contest was absolutely fulfilling. It’s always satisfying when your efforts pay off. So far, I have participated in three anthologies and have won in two of them. Ans: I do believe so, yes! They expose you to the challenge of producing your best and improving with each next word. Ans:They help you by teaching you how to work with a goal in mind, and also to be clear about the way of developing the storyline. Ans: I always try to come up with a plot first, create- in my mind- a starting, middle, and the conclusion. Only after having them, I can start writing by joining the dots. I don’t believe that there is any one formula to write a successful story. An interesting plt and quality authoring skills can help. My most preferred genre is drama that’s built on human psychology. Q6: What do you have to say about the Myraid tales team Suhail, Chetan and Himani? Ans: They are very innovative and supportive. I will always be thankful. Ans: Not any one in particular. After my first story was published, I received quite a few of them, and they all mean so much to me. Ans:I belong to a family of bookworms. My interest towards literature is ignited by that. The current trend clearly suggests that many people have their stories to tell, and of course the rise of Mr. Bhagat has given us courage. I, personally, have never wanted to be anything other than a writer. Ans: I think its different for everyone. For me… well, I need to write, I have to write. Words brews inside me and I feel it without pouring them out. Q10) How good has been participating in anthologies? Recently we have seen many traditional and self publishing anthologies coming up through competitions so how efficient are they,anything that you have experienced that can suggestions. 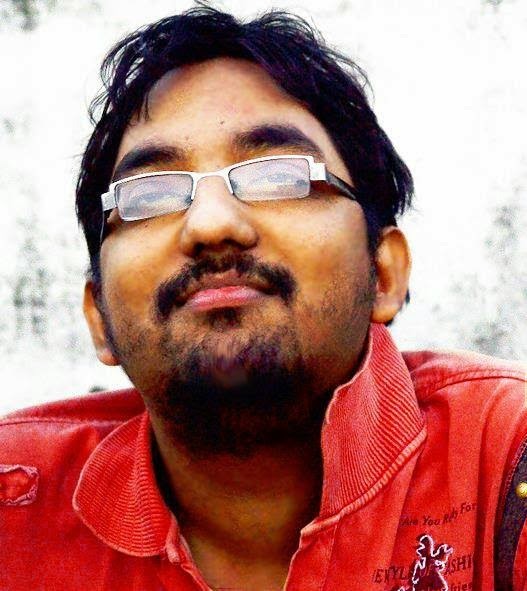 Ans: My only suggestion is that if you want to participate in anthologies then find the ones by trusted publishers. Also, you need a good editor as your judge. Don’t just participate in any anthology without a background check about the publisher. Ans: That has been just great. They are very excited about my career as a novelist. Ans: Of course they are. They are doing an absolutely fantastic job. I hope with their help, our anthology reaches many readers.